Ah! Getting in the car, throwing a bag on the back seat and driving down straight long roads for days on end while your companion rests their long legs on the dashboard and both of you sing at the top of your voices a (fill the gap) song. The road trip has an undeniable hold over our collective imagination fed by many films and music videos. It’s just that nowadays a road trip, although still a great way to travel and experience life for what it is, in reality often requires some serious organisation and research prior to setting off. Especially if you are travelling with children. to save money instead of paying for excessive air fares during holiday times. So, to make your road trip a smoother experience here are twelve tips for you and your family. They are based on the two road trips we took last summer. First, we traveled from Italy via France to England over five days. And then we ventured back to Italy via Belgium, Germany and Austria over eight days. We drove in our little red car in the company of our toddler, who turned two on the road. It was a great time. Testing, too. For all three of us and the car. So, here are my takeouts based on our first-hand experiences. I hope they will help you at the decision-making stage of the planning of your road trip, as well as when you are already behind the wheel and enjoying your family adventure. Yes, I know. This is such basic stuff, yet so easy to overlook. Traveling with a hungry toddler or a thirsty driver is no fun. Especially, if the road is winding through small Italian villages in the midst of the traditional afternoon break when everything shuts for hours or your car is caught in heavy traffic on a British motorway and the next service stop is miles away. So, make sure you always have something on hand. Some easy snacks I rely on when we are on the road are: chopped peppers or apples, cherry tomatoes or small fruit which is easy to bite without dripping juice all over yourself, like apricots and plums (all rinsed at the start of the day at the hotel), brioches and breadsticks. You can use sightseeing stops to stock on cheap local snacks, too. 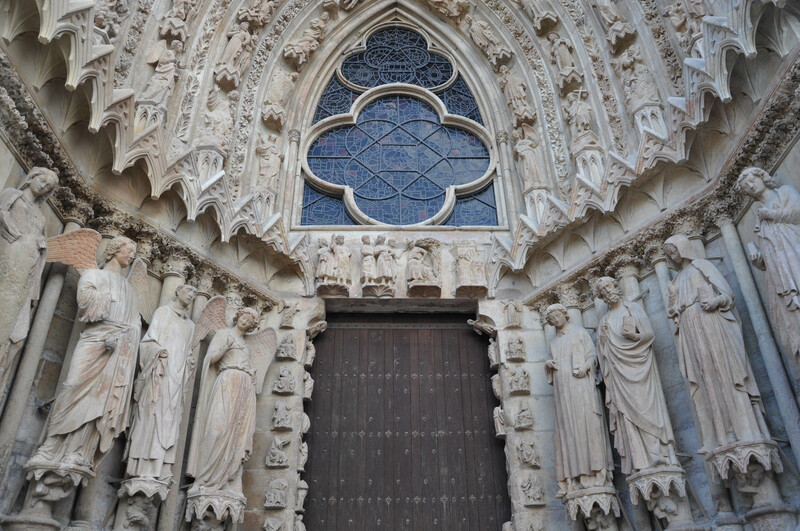 I remember once, after visiting the gorgeous cathedral in Reims we bought croissants from a local bakery for the princely sum of 2 euros for five. They tasted divine and emphasised the fact that yes, we were travelling through France. As for water and other drinks, buy them cheaply in large packs of small bottles from local supermarkets. This way, everyone in the car will have their individual bottle and you won’t have to stop (and hence waste time) at every single service station along the road as and when someone really needs a drink. Having snacks on you is also good for those times when you wouldn’t be able to get service in a local restaurant and still you need to eat something to keep you going on the road. I know it sounds absurd, but it happened to us twice, so better be prepared than hungry, methinks. Once, in Germany, we wanted to pay by card at a local branch of a large multinational fast-food outlet and for whatever reason they weren’t taking cards just then plus there were no cashpoints in sight. Another time, again in Germany, we sat in this lovely restaurant with live Bavarian music and after a wait of half an hour during which we got acknowledged by a waiter and were assured that we would be served asap, all tables around us had gotten their food and we hadn’t even taken a look at the menu, so we retreated to the car and our stash of snacks with our bellies rumbling in time with the Bavarian yodeling. This we learned the hard way! By booking hotels out of town and close to the highway during our French road trip. The reasoning was that they would be easy to reach from the road after a tiring day of driving, cheaper than a city hotel and then in the morning we could always drive in to the nearest town or place of interest for a spot of sightseeing. It didn’t quite work out this way. Yes, the hotels were close to the highway, but quite far from anywhere else and on some evenings we arrived early enough to want to go for a walk or dinner, but not fancying driving yet another twenty minutes to the nearest town and then another twenty minutes back. Also, as it turned out, it is extremely easy to miss the highway exit for an out-of-town hotel, especially during rush hour and when you are not familiar with the place, which, obviously, we were not. This happened to us once or twice and added an extra half an hour driving around in order to approach the hotel from a different direction or go back to where we should have left the highway in the first place. Then, in the morning, we would drive to the place we wanted to see and waste yet more time navigating the city streets and looking for parking. Sometimes we were lucky to find a parking lot online prior to driving into town and sometimes we were not. In all cases, the costs for parking started to add up. On the way back to Italy and driving through Belgium, Germany and Austria, we adopted the opposite approach. We stayed in centrally located hotels offering safe free parking. This gave us more time for sightseeing and, if you want, for longer lie-ins, too. This is the best part of any road trip! Simply driving through a country and coming across stunning nature spots, meandering rivers, lush pastures framed by snow-capped peaks and places where events that have shaped our world have taken place centuries ago. And when you realise that you can simply stop the car, get off and explore for a few minutes or an hour or two, the feeling is exhilarating. 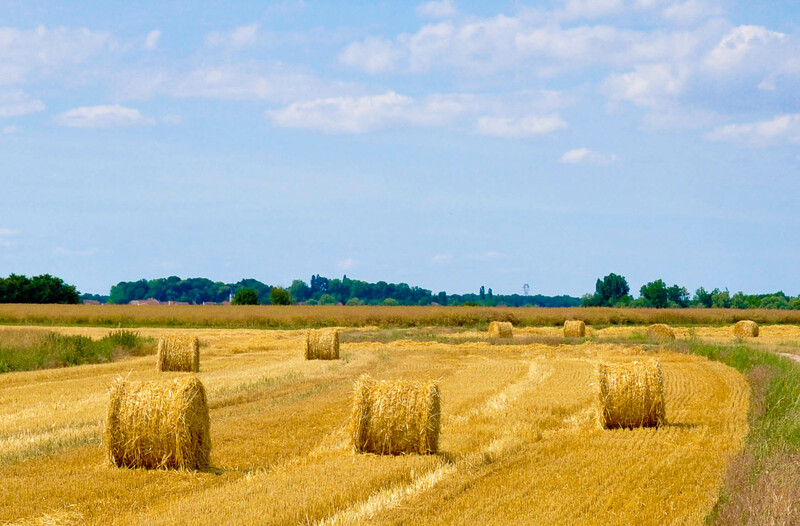 I remember when we crossed the Alps driving from Italy into France and seeing the craggy, tall mountain peaks on the Italian side swiftly followed by the gentle rolling pastures with herds of chocolate-brown cows on the French side. I felt alive! I felt like we were on this amazing journey, building memories to last us a lifetime. Right after the border, we stopped by a reservoir. The water was impossibly blue and wild flowers were blooming by the road. It was simply beautiful. Further away, we came across the exact spot where Hannibal had crossed the Alps with his troops and elephants over two millennia ago. Obviously, we had to stop. 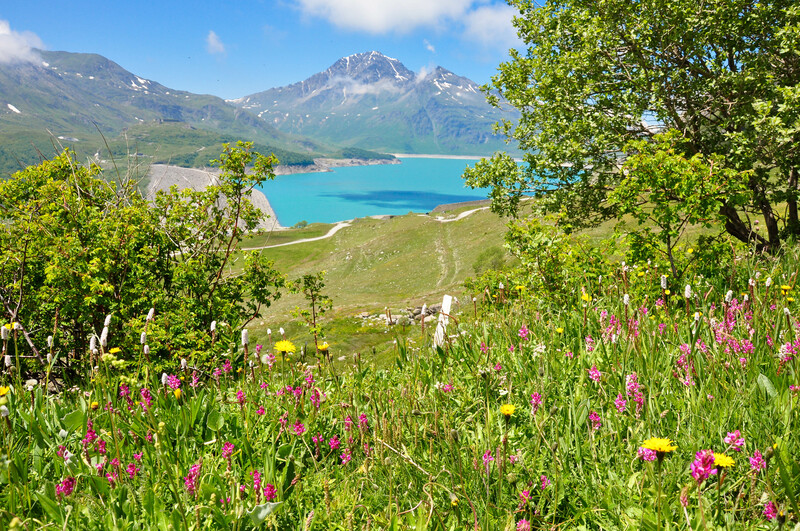 Then deeper into France, the road took us by the lake Vouglans (see the very first photo in this blog post). We found a secluded beach and spent an hour there, eating large juicy cherries we had brought with us from Italy and simply lazing under the hot summer sun, our feet splashing in the cold refreshing water. We hadn’t planned for this, yet it is one of the things I remember the most about that road trip. You know how when you are still at the planning stage of your road trip, you check a maps app to find out the distance from point A to point B and then to point C and so on until you have mapped out your entire trip. And, then you calculate that based on the total number of kilometres you need to spend, let’s say, five hours on the road every day. This means five hours spent driving plus eight hours for sleep, so this gives you a tremendous 11 hours to do whatever you like, like relaxing, sightseeing and eating delicious local food. Well, I am sorry to burst your lovely bubble. I am only doing it, because our bubble burst, too, so I am just trying to paint you a realistic picture here, rather than put you off. So, if the maps app says you need five hours from point A to point B, add to this an extra 25%. You see, your car may not be able to maintain the regular speed which the app uses to calculate the estimated travelling time. You may get caught in a traffic jam. You may want to make a spontaneous stop (see point above). You may need to find a toilet. You may miss an exit on the highway. Most importantly, your child(ren) may get bored and demand an extra break. And, of course, if you are travelling with a toddler, you just have to stop every two hours max, for a little bit of play time. So, plan conservatively and always give yourself a bit of a leeway. It could be a visit to a local playground or some fun time spent at the town’s jetting fountains. Or it could be a visit to a child-friendly attraction or simply an opportunity to run across a green meadow covered with wild flowers. Don’t forget that you and your children are together in this thing called a road trip. It must be fun for all parties concerned. Spending long periods of time in the close confines of a car is taxing for the little ones in the family and they may end up hating the whole experience spoiling the mood for everybody else. Instead, give them something to look forward to, make it unforgettable for them. For example, we always looked for a playground everywhere we went. Our first day in Germany started with a visit to a huge playground on the banks of the river Moselle. We spent three full hours there having ice-creams, running around and generally having fun with our little daughter. Just ten minutes down the river from the playground there was a lovely little town with picturesque houses and river cruises. 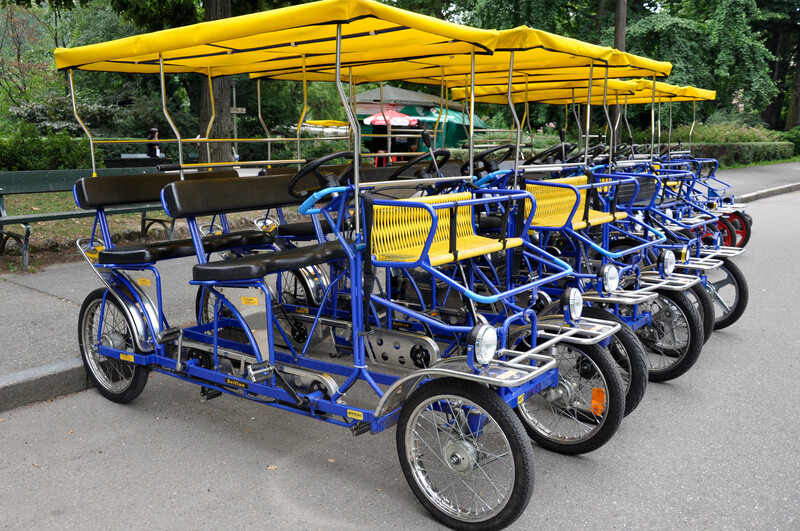 We didn’t go on one of these. Not because we didn’t want to, but after a boring stretch of driving across Belgium the day before, the need of our child to run around and have fun was more important than our need to tick yet another touristy thing off our list. In a way it felt like we were missing out. After all, a playground is a playground everywhere you go, but the local attractions and culture are unique to each place. But this is so to us, the grown-ups. The little ones appreciate the opportunity to play and meet other children, so once they know this is on the cards, they are much more willing to spend some time in the boring moving car. Of course, you don’t have to always sacrifice your interests so as that your child(ren) can have some fun. Many museums across Europe now have spaces for children where they can draw and play games supervised by one parent, whilst the other is having a good look at the exhibits. 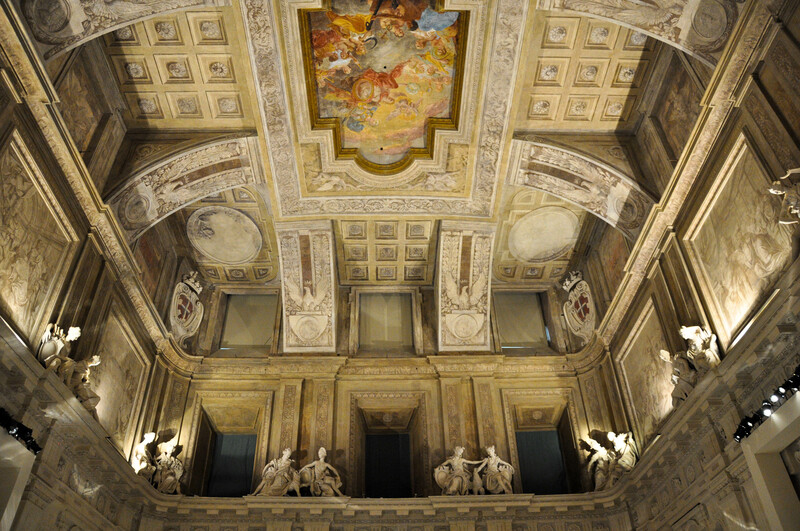 For example, in Palazzo Madama in Turin, a small table with some colourful crayons and puzzles provided enough entertainment for our tired toddler to spend 15 minutes quietly engrossed in a puzzle book, whilst my husband and I took turns to explore the last rooms of the palazzo we hadn’t seen. And in the Tyrolean Regional Heritage Museum in Innsbruck, Austria, there was a large space filled with games where our little daughter had a wonderful time playing and making new friends from all over the world, whilst (against taking turns) we saw the impressive collection of folk art from Tyrol. Honestly, after a couple of days on the road and a couple of cities ticked off your list, you will start feeling like they all look the same and you have seen it all before. Travel tiredness can settle quickly in and spoil an otherwise great adventure. I remember that when we reached Lille after five days of driving through France, we just felt jaded and didn’t make much effort to explore. Which is a shame, as Lille is a lovely city, which I had had a chance to appreciate during a short visit several years prior to that. So, if you can afford it in terms of money and time, consider staying at the same place two nights in a row. I know how tempting it can be to think that you can spend each night at a different place thus seeing more and experiencing more. If you can, take it a little bit slower though. Staying put at the same place for two nights will give you a sense of normality, you will be able to recharge and thus enjoy the trip so much more. Also, believe me, not having to pack everything in the morning and stuff it in the car, will feel like such a luxury. You can use the day either to explore in depth the place you are staying in or to go on a day trip. For example, on the way back to Italy we spent the night at the same place twice. Once, we stayed in Karlsruhe and used the day to go to the spa town of Baden-Baden where we saw the Faberge Museum among other things. 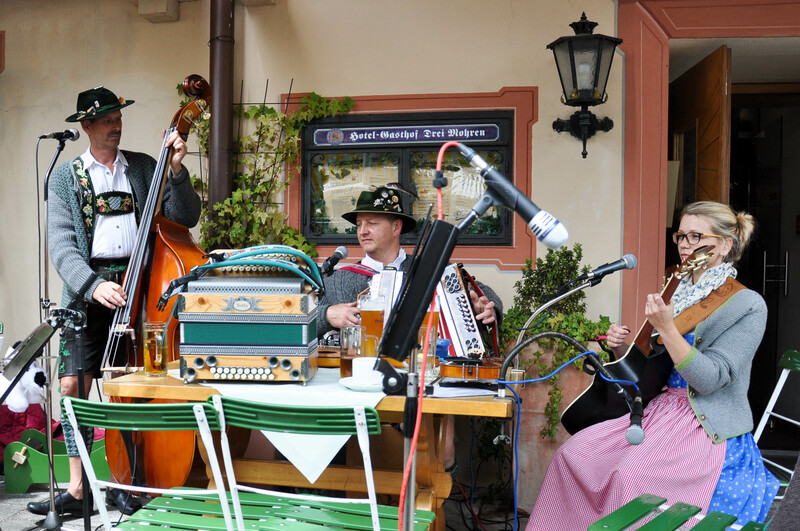 Then we spent two nights in a small town called Kaufbeuren in Swabia, Bavaria. 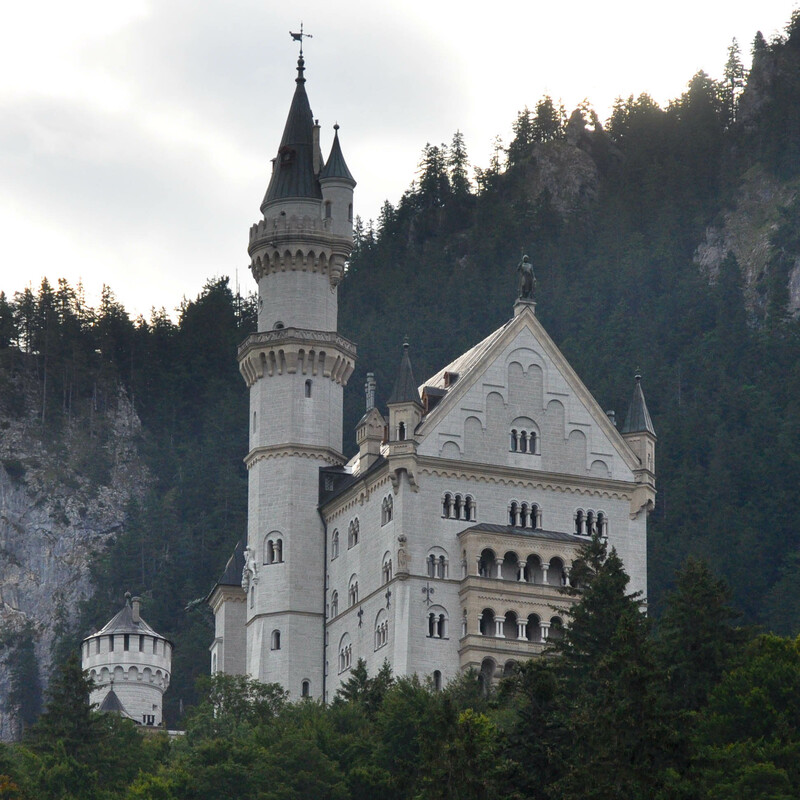 It is about 40 minutes away from Neuschwanstein Castle. So, we were able to visit the castle very early in the morning and avoid the large crowds which besiege it every day. We beat up all the queues for tickets, horse-kart rides and, even, pretzels and ice-creams and were back to the hotel by 2 pm for a well-deserved afternoon nap after nearly a week on the road. We thoroughly enjoyed our visit to the castle plus, on the way back to the hotel, we made a pit stop by a nearby lake. Also, driving early in the morning through the green fields and forests of Bavaria was a magical experience, too, and apart from the compulsory herds of cows, we also saw several eagles and other birds of prey which were an incredible sight. Do you like road trips? Have you been on one in the past year or so? Or perhaps you are planning one just now? Well, I hope that the above six tips will be of help. 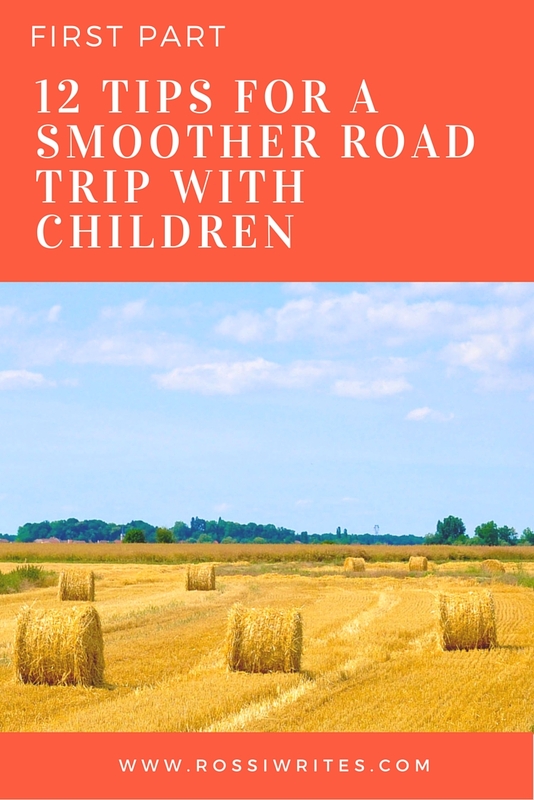 I will publish six more tips for smoother road trips with children in the next few days, so, please, keep checking the blog. And, don’t forget to tell me what else you would add to my suggestions above.